We’ve been making Mother’s Day Crafts that are easy enough for toddlers to do with a little bit of help. 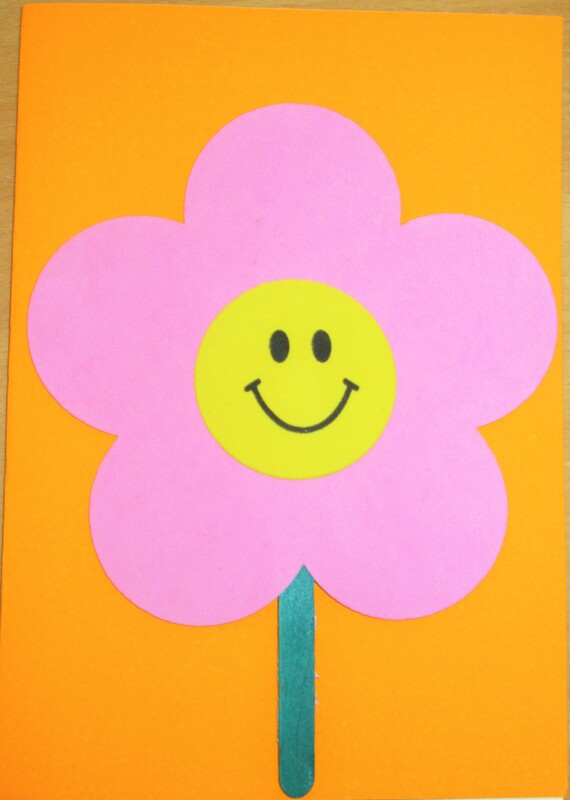 A card and flowers tend to be traditional Mother’s Day gifts, so why not let your toddler make them! Older children may enjoy these simple crafts too. 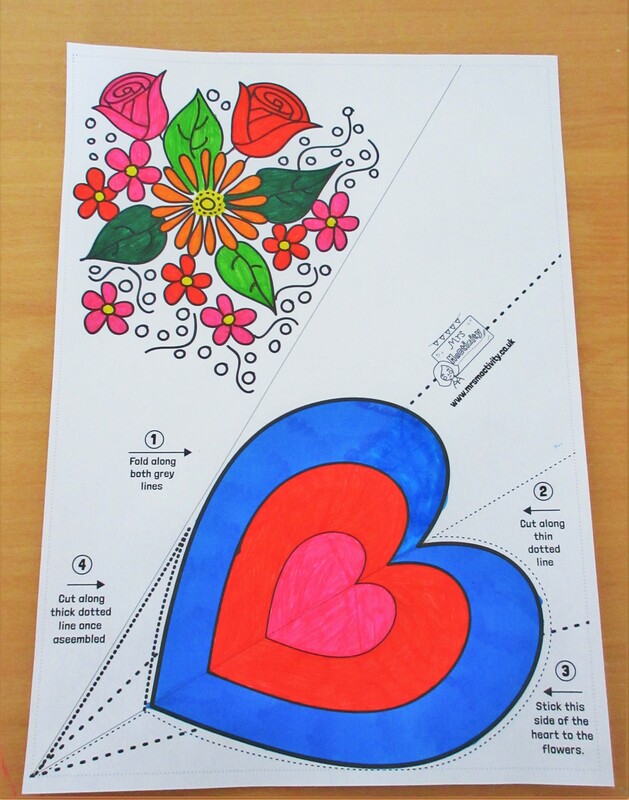 Mrs Mactivity has some fab Mother’s Day crafts such as this gorgeous Mother’s day flowering colouring craft. These printable flowers are hand drawn ready for you to simply colour, cut and give to mum this Mother’s Day! 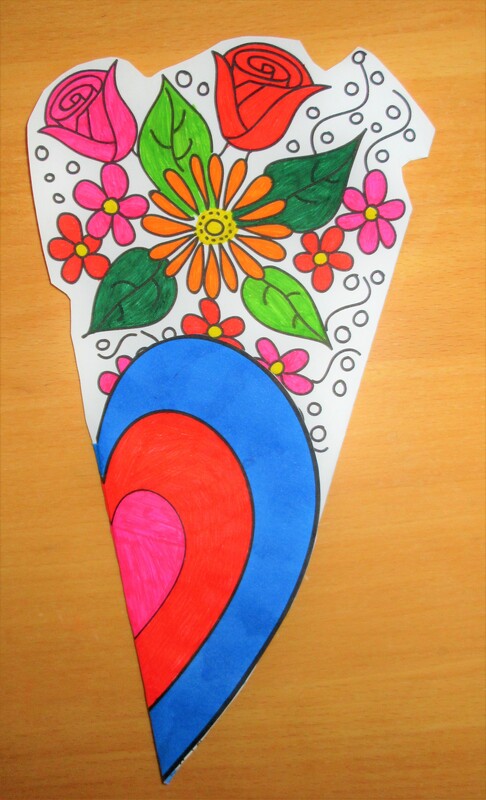 With 3 different designs and two different sizes, small & large, this fab colouring craft is quick and simple enough for toddlers to make. 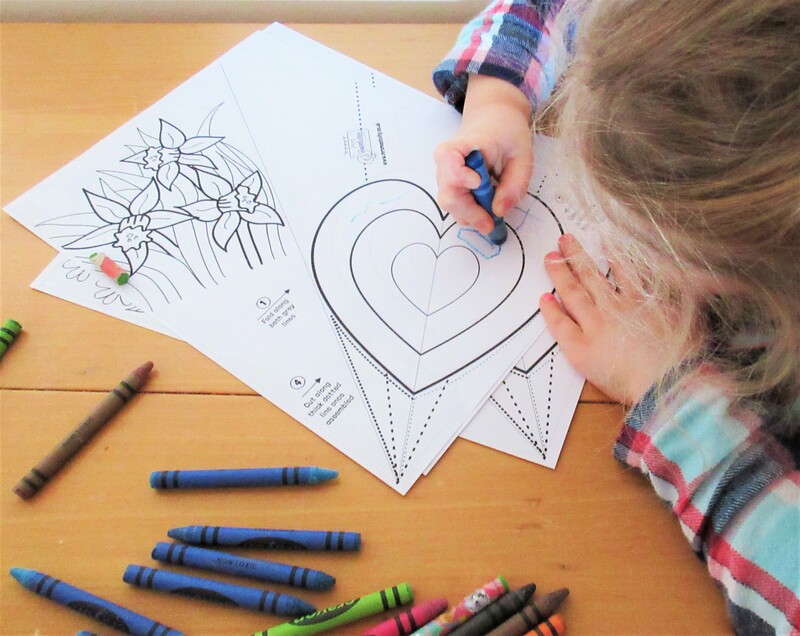 Older children will enjoy taking care colouring the individual flowers or the large flower colouring craft. I trimmed ours a little bit more at the end so the flowers stood out a little more too. If you liked this you may like the pots of flowers Izzy made last year for Easter too! Mother’s Day Cards are always fun to make with so many fab ideas out there. Raiding our craft box, we decided to make a lovely flower card to go with the paper flowers. Flowers are definitely the theme here this Mother’s Day! All of these items can be bought at any craft store or pound shops. 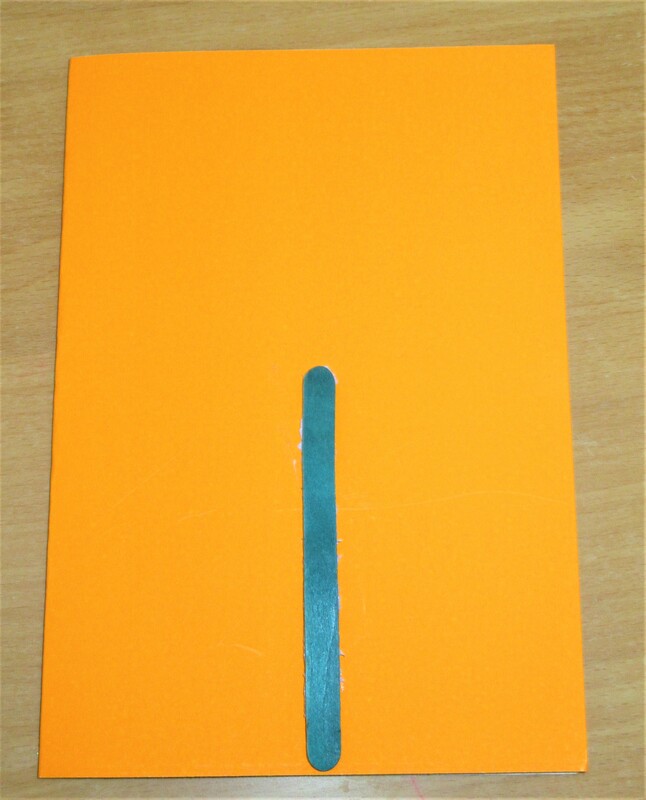 To make our card we took a sheet of card, a foam flower, smiley sticker (to brighten up the flower) and a green lollypop stick for the flower’s stem.We simply took our sheet of card and folded it in half, then we glued the lolly stick down first in the centre of the page lining it up with the bottom of the card. The girls thought the darker green lollypop stick would look better than the light green. Next, we added the foam flower, making sure to overlap the lolly pop stick ‘stem’. 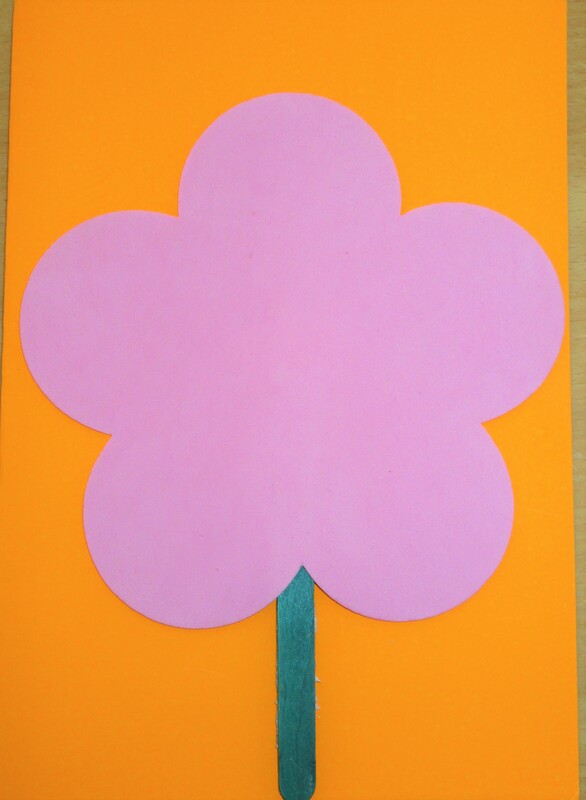 We used a large foam flower but you could use smaller ones and add several to your card. 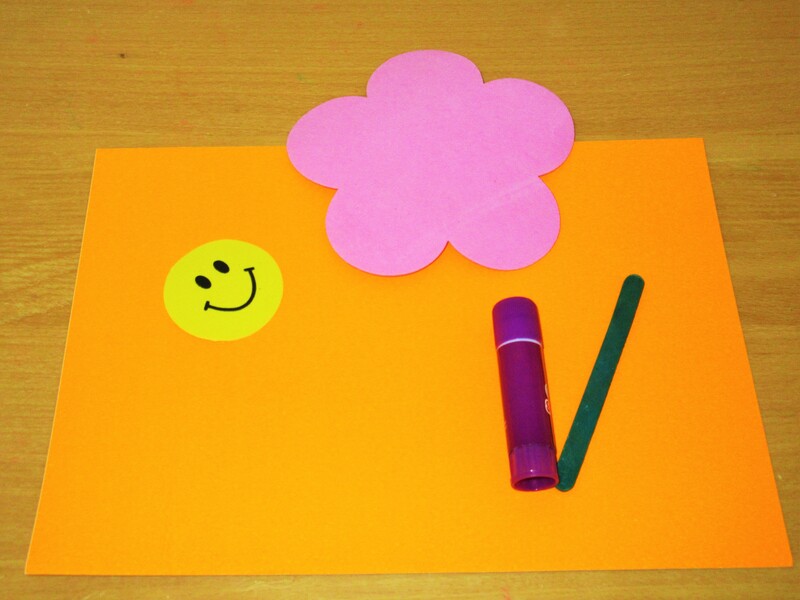 To finish our flower we added our smiley face sticker to the centre of the flower to look like happy pollen. You could use anything though, a heart centre would look lovely too! Finally, we wrote ‘Happy Mother’s Day’ written at the top in a gold sharpie. This craft only took a few minutes, making it one of the quicker mother’s day crafts for toddlers. 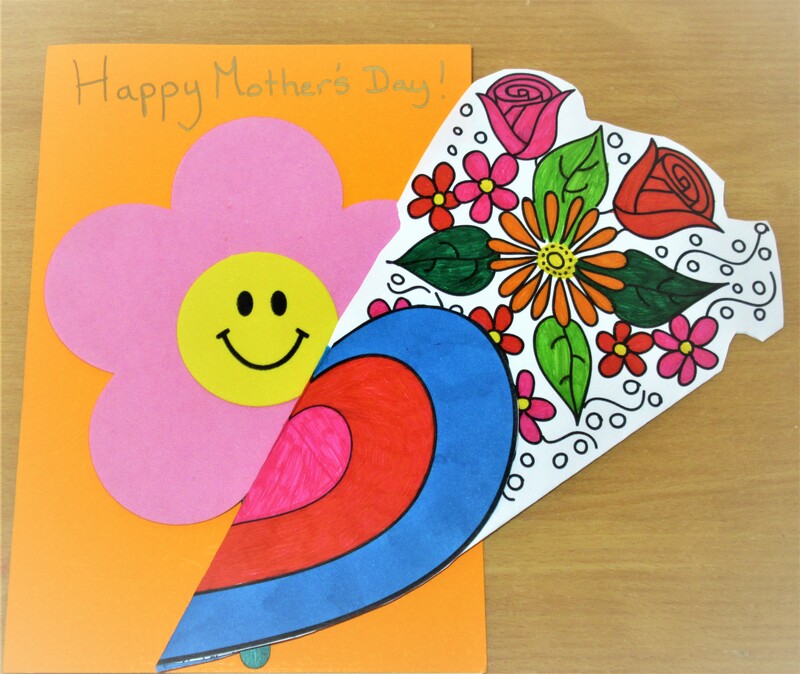 Along with the gorgeous flower colouring craft from Mrs Mactivity, your toddler is all set for Mother’s Day this year! 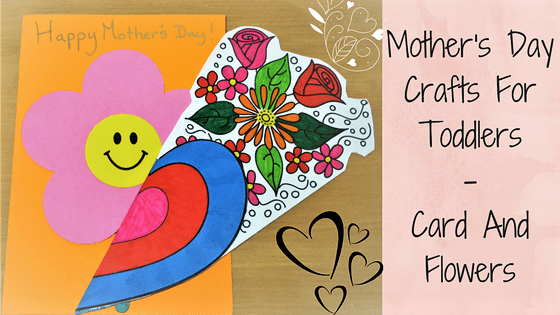 What do you think of our Mother’s Day crafts for toddlers?